This topic contains 3 replies, has 2 voices, and was last updated by admin 1 year, 6 months ago. 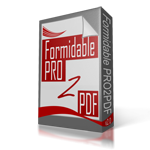 PRO2PDF does not add form fields to PDF files, it simply merges data from Formidable Form Fields to existing PDF Form Fields. You must add PDF form fields using Adobe Acrobat or another Adobe Form app such as PDFEscape.com. Do you have any tutorials to then link the form field with the pdf field?
. On the SETTINGS tab, select the option to “Enable automated layout creation for new field maps”.
. Name PDF fields EXACTLY the same as the corresponding Formidable Form field name. If there are more than one field with the same name then name the PDF field the same as the Formidable Form field ‘key’ which will allow the plugin to auto-create the field map layout.